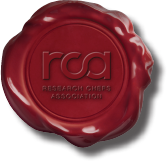 The RCA Conference provides a truly innovative experience for food industry professionals looking to dive deeper into culinary arts, food sciences and product development. Immerse yourself in the most exciting three days in food – from educational sessions to networking opportunities to the food and flavor-filled Culinology® Expo. Pre-conference programs will be held on Tuesday, March 12. Sponsored by Darifair Foods, Inc. Sponsored by Beef. It’s What’s for Dinner; and Darifair Foods, Inc.
6:00 a.m. - 11:45 a.m. Sponsored by International Dehydrated Foods, Inc. Cocktail Competition sponsored by Flavor Dynamics, Inc.
*All events will be held at the Kentucky International Convention Center unless otherwise noted. Schedule is subject to change.